The Minister! Wow. We must have looked impressed, because he caught my eye in the mirror and winked. And so began our whistlestop tour of Agadir, Morocco – the most memorable port call on our two-week Fred. Olsen “Voyage to the Coast of Africa”. 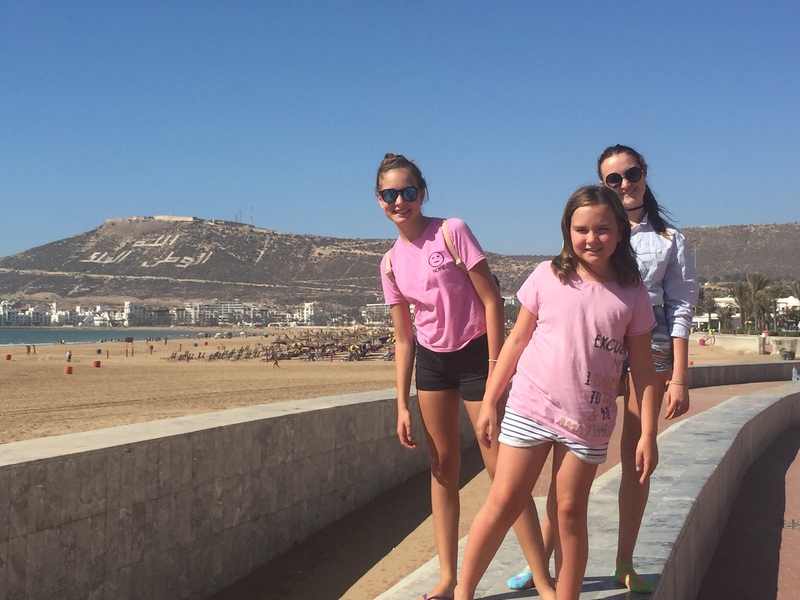 Driver Abdul (we were soon on first-name terms) was as good as his word, whisking the four of us straight to the Souk El Had, where our first purchase – on his advice – was a family bundle of fake Adidas leggings and long-sleeved shirts. It was a great tip because, as we were soon to discover, covering up spared us the embarrassment suffered by fellow shoppers still dressed for the beach. 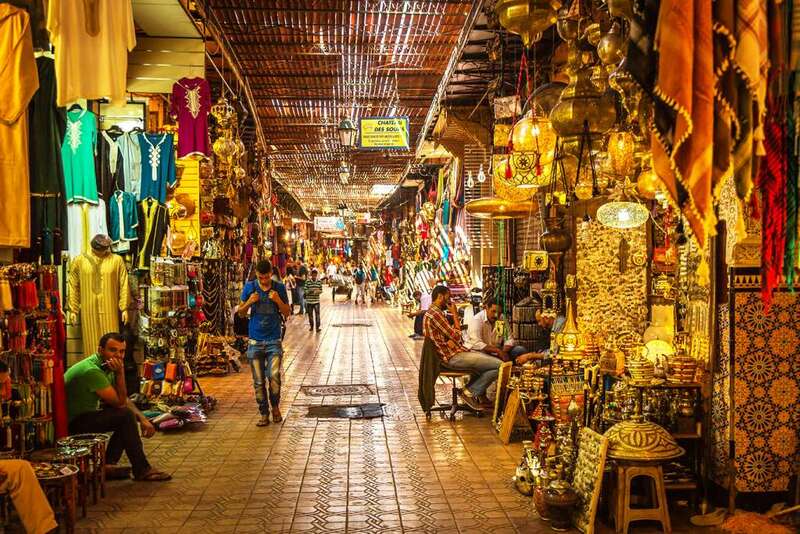 Abdul’s other advice was to stick together like glue – and as the souk proved to be a vast, labyrinthine space in which one narrow alleyway looked very much like another, I was very grateful for that too. Despite the qualms of their helicopter mum, the girls enjoyed a highly productive morning’s retail therapy. “This is much better than Milton Keynes”, observed my middle daughter Daisy – unarguably – as she stroked her £10 pink “Nike” trainers all the way back to the ship. Abdul was back at the wheel, and he had clearly done his cruising homework because he expressed surprise at seeing children on a Fred. Olsen ship. As had our fellow passengers when we joined Balmoral at Southampton. Travelling in October, a week before most schools were on half term, you could count the number of other kids on the fingers of one hand. I know because I did. “Mum, why is everyone is so old?” whispered ten-year-old Lily, just loudly enough for everyone to hear. Fortunately this appeared to cause merriment rather than offence. Fred. Olsen isn’t the obvious choice for a family cruise, but that doesn’t mean it isn’t an inspired one. After a bumpy start – thanks to the tail-end of hurricane Irma – the girls threw themselves into all the activities Balmoral had to offer, while the Captain and his crew frantically rearranged itineraries. The hotly contested paper plane competition was a particular highlight. Lily teamed up with a partner eight times her age, and it was touching to watch the generation gap melt away as they consoled each other after a comprehensive defeat. Speaking of gaps, 14-year-old Daisy (a great fan of Dragon’s Den) spotted one in the market and started a pop-up IT helpdesk at her favourite sunspot next to the pool. She was soon mobbed by clueless grown ups, anxious to contact family and friends at home with hurricane and itinerary updates. “This is so much more fun than any kids’ club”, was her verdict (six months on, she is still pen-pals with one of her regulars, and is thoroughly enjoying the novelty of using paper and stamps). Meanwhile eldest daughter Ellie, a keen rower, teamed up with some fellow fitness fanatics at the gym. At 15, she was technically too young to use the equipment but the Captain kindly took a break from hurricane watch to grant her special dispensation. This made her cruise, and pretty much summed up the can-do attitude of the entire crew. With Lily fully occupied by Xboxing with the young son of Gardener’s World presenter Adam Frost – our onboard lecturer – I was left free to roam to ship and make some friends of my own. First stop was the hot tub, always the best source of gossip on any cruise ship. Balmoral’s did not disappoint. The talk was all about a fellow passenger who – so it was said – had a bigger bathroom than the captain himself. I even heard a whisper that she was a blonde. As a former newspaper reporter, I felt I had to investigate. I was like a dog with a bone – which was appropriate because the trail led to Teresa, a gorgeous guide dog who was enjoying her second Fred cruise with owner Alastair. 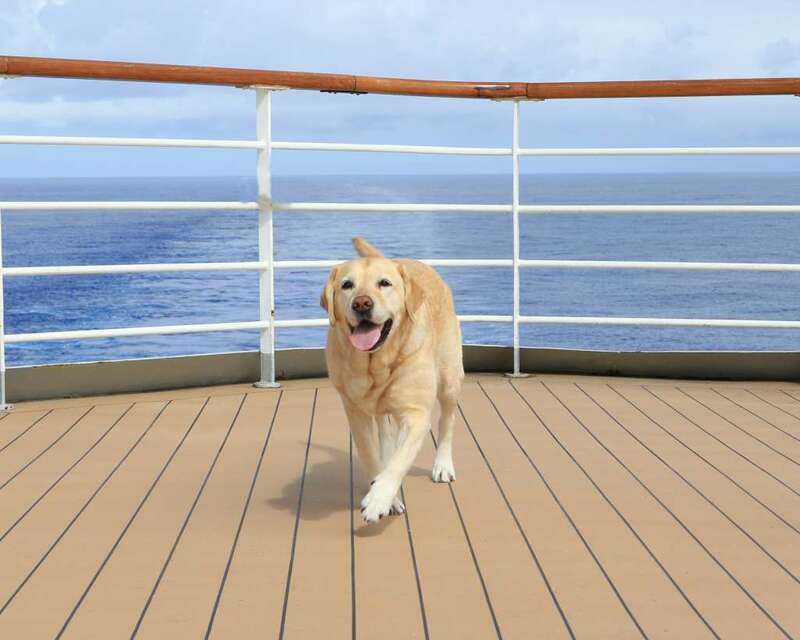 Every day, the ship’s newsletter carried the same notice about not making a fuss of our four-legged passenger. And every day we ignored it, unless the handle of her harness was up – the sign that she was working (the “bathroom”, by the way, turned out to be her own segregated section of crew deck). It was lucky that the ship provided so much entertainment on sea days because the aftermath of Irma meant there were rather more of those than we’d expected. But every cloud has a silver lining, and ours came in the form of an unscheduled stop at Honfleur – the beautiful French seaside town that had long been on my bucket list. It’s cobbled streets and beautiful architecture certainly did not disappoint. Other onshore highlights included “basket riding” in a wicker toboggan through the streets of Madeira – rather an expensive five minutes, at 60 euros for the four of us, but the girls loved it. And we all enjoyed strolling around the pretty fishing village of Camara De Lobos, a favourite of Winston Churchill, who loved to paint there. The lovely city of Lisbon was also a delight, as always, but for us the best part of the cruise really was the ship itself, with its relaxed atmosphere and truly fabulous food. The Seafood Buffet, in particular, was a triumph, and the service in all the restaurants was excellent, though I was often outvoted by the the girls who preferred serving themselves at The Palms Cafe – giving them plenty of time to grab front seats at the hugely popular nightly shows. The Balmoral singers and dancers were the hottest ticket on the ship, and deservedly so. The girls didn’t miss a single performance – a commitment that had everything to do with one particularly handsome young chap called Tom, who stole every show and many hearts along the way. On the last night, the wonderful Cruise Director, Jen, even arranged for the girls to meet him (for once, they were speechless). A national newspaper journalist for 25 years, Louise has written extensively about cruising in S Magazine, the Sunday Express supplement she edited for over a decade.